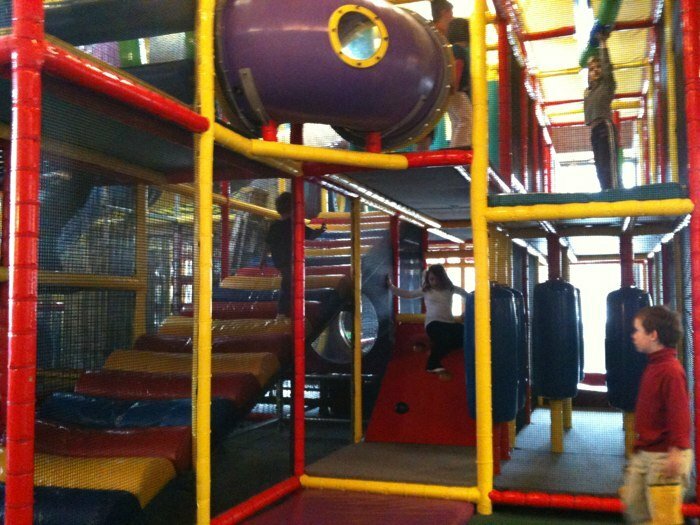 Founded in Kansas City, Misourri in 1998, Discovery Zone was a children's entertainment place like Chuck E. Cheese, but much better. DZ had bigger, more elaborate play structures, massive ball pits, a zipline, and zero presence of a creepy adult sized mouse mascot walking around terrorizing children. Seriously though, Chuck-E = Chucky. You know Chucky, the serial killer doll. Stay woke y'all, stay woke. Growing up an only child, I was on the fence about attending most of my classmates birthday parties. I liked my space. My room had all my toys, snacks, video games and I didn't have to share or put up with screams and cries. I also hated germs and most birthday parties were snot infested petri dishes. However, when I received a birthday invitation to Discovery Zone, I was all in. You could get lost in this place. I felt completely free to swing and climb and jump as much as my little heart desired. 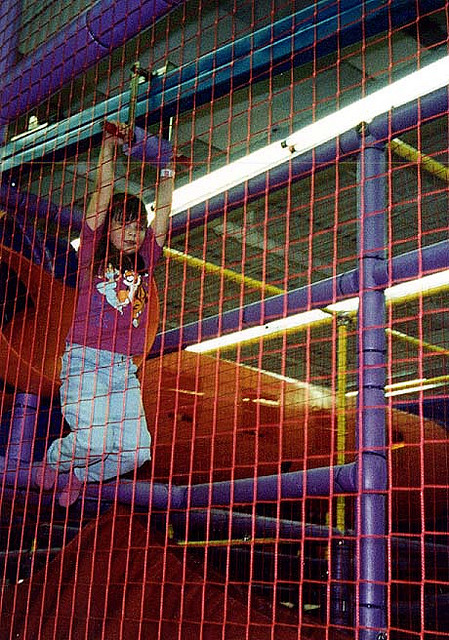 Discovery Zone's short lived slogan was, "Never The Same Fun Twice!". And this was true. Each trip to DZ, you discovered something new. Something new about the play structure, something new about your friends, and most importantly something new about yourself. Deep for a seven year old, I know. That is what this place did to you. It opened your mind to new play possibilities. That should have been the slogan actually. Anyway, this children's play utopia died abruptly in 1998. No really, it died so quick that Chuck E. Cheese (the enemy) had to take last minute party reservations from DZ customers. Live fast, die young. RIP Discovery Zone (1989-1999). Thank you for the memories.